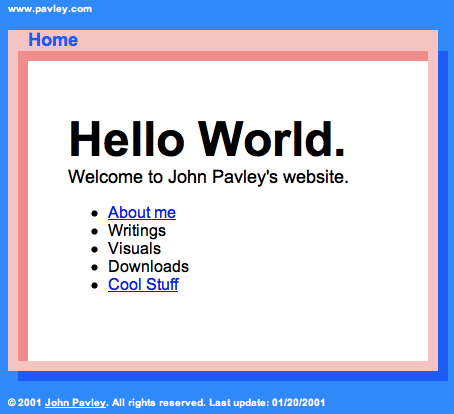 I created the first version of pavley.com back in 2000. It’s always been pretty minimal–just a collection of links to other apps and sites I’ve created over the years. This year my hosting provider got out of the hosting business. Her name was Jackie Hamilton and she wrote CGI Programming 101: Programming Perl for the World Wide Web and CGI Programming 201. Both are excellent, no nonsense, introductions to web programming and you should read them just so you clearly understand how simple and elegant the original web application protocols were (and still are). But when I recently sorted out the things I had to do I realized that CGI programming my own site was no longer on the top of my to do list–or even the middle. WordPress is just so much better in so many ways! Anyways, in a different life at a cloud analytics startup now, I saw that you’re working with AWS and was wondering if you have started to increase deployment of servers. I am talking with organizations dealing with rising cost in EC2 and wanted to see if you had some time to discuss how we help with driving cost down and optimizing usage and performance within your AWS environment. We are providing sophisticated RI Management solutions around modifying existing RI’s and modeling out purchase scenarios according to usage. If you have some time next week I would love to show you how we are saving companies 20% on their monthly AWS bill. I will work around your schedule. I was just wondering if this is the same John Pavley (and brother Rich) I went to Delran High with? Yes it is! Good to hear from you Matt. I’ll email you. There is a shortage of blog posts here Mr.!